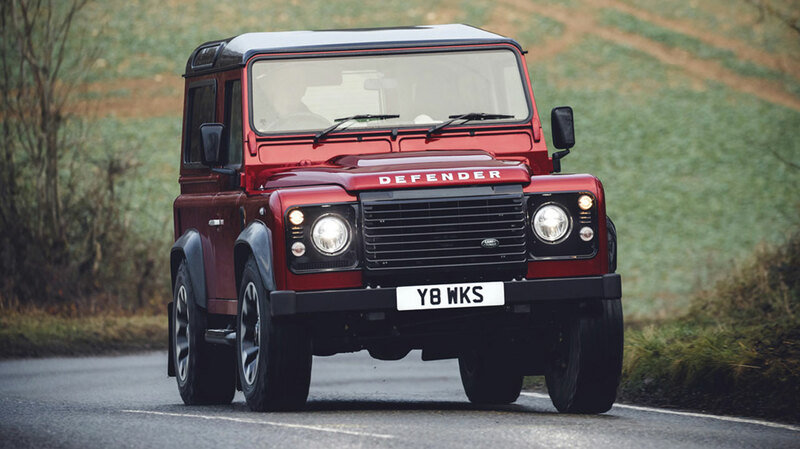 The Defender Works V8 pays homage to the early high-powered engines in both the Series III Stage 1 V8 from 1979 and subsequent Defenders including the 50th anniversary edition, which are highly sought after by enthusiasts and collectors. Classic Director, Jaguar Land Rover, Tim Hannig, said: “It’s fitting that we’ve been able to release the full potential of the iconic Defender, whose much-loved shape remains synonymous with Land Rover, 70 years since it was seen in public for the first time. Eight standard body colours include two satin finishes, contrasting with a Santorini Black roof, wheel arches and front grille – finished with machined aluminium door handles, fuel filler cap and Defender bonnet lettering. A comprehensive lighting upgrade includes bi-LED headlamps.